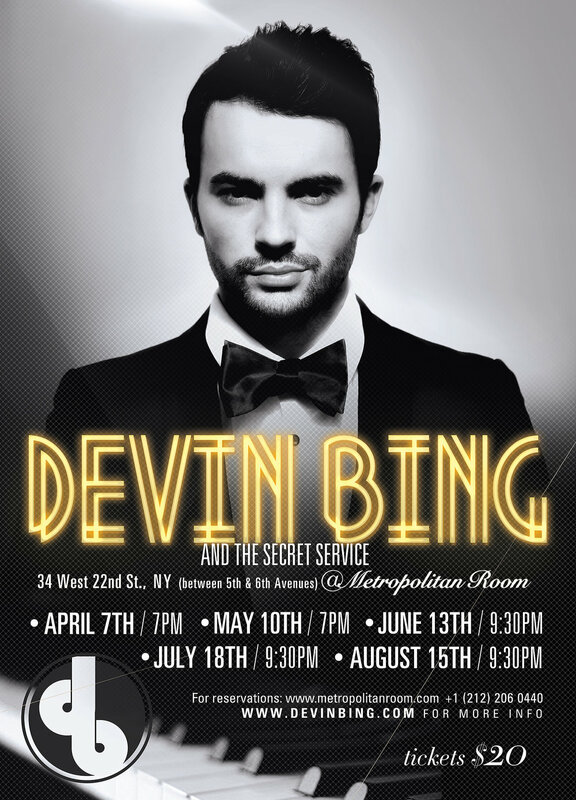 One week away till we hit again at the Metropolitan Room! And by we, I’m hoping you will join Me & “The Secret Service” for another smashing evening at this wonderfully debonair club. Reviewers have been coming to every show and the feedback has been amazing. Here’s one by Rob Lester from NightLifeExchange.com, as well as Joe Regan Jr. from TimesSquareChronicles.com. Bring a date, friends, family, whoever. This show is far anyone and everyone! Also, a cool reminder, after the show we head over to Flute Bar Gramercy where they offer everyone who came a complimentary glass of champagne. Not too shabby! It’s a fabulous time and I always look forward to sharing it with all of you. Please do share and pass this along, every bit helps. Thank you for continuing to support the music!